The Integrated Healthcare Council (IHCC) is made up of for-profit and corporate entities that offer a variety of products and services that enhance our member providers’ effectiveness and efficiencies. While they meet formally only on an ad hoc basis, IHCC members actively participate in NJAMHAA conferences, committees and practice groups, and receive information on pertinent issues in New Jersey and around the nation. In addition, they benefit from interaction with members through demonstrations, publication of articles and reduced-rate vending opportunities and ads for increased visibility. With an aging population, rising health care costs and strained budgets, quality health care is an urgent national priority. Aetna Medicaid Administrators LLC (Aetna Medicaid) is an industry leader in coordinating care and controlling costs. We have the expertise to provide seamless, quality health services for the most vulnerable. Our managed care strategies and tools are member-centered and have a proven record of improving health outcomes. We provide services for over 2 million members in 15 states and manage $7 billion worth of health care expenses each year. Our success comes from more than 25 years of experience serving high-risk populations, building relationships with local partners, integrating the delivery of clinical care, and developing innovative programs and technology. Working together with providers and local and national governments, we believe we can help create a better health care system for our members. Amerigroup improves access to quality health care for its members while lowering costs for taxpayers and coordinates services for individuals in public funded health care programs. 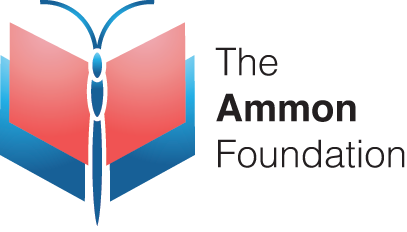 Ammon Analytical Laboratory is a state-of-the-art toxicology laboratory. It provides specialty screening, drug testing and other related services to hospitals, substance abuse clinics and behavioral health programs. We believe that all people deserve a chance to pursue their educational goals. Continuing education can challenge people in recovery to move forward with their lives while balancing their recovery process. Ammon supports your decision and wants to help you build your personal stability again. In forming this foundation, we want to support those who have found themselves struggling with the disease of addiction and are looking for a positive way forward. Attitudes In Reverse® (AIR™) was established by Tricia, Kurt and Katelyn Baker of Plainsboro, NJ, in 2010, soon after their son/brother Kenny died by suicide following a long battle against severe depression and anxiety. Their mission is to save lives by educating students about mental health, related disorders and suicide prevention. Beacon Health Options behavioral health solutions for regional and specialty health plans; employers and labor organizations; and federal, state and local governments. Beacon offers superior clinical mental health and substance use disorder management, a strong employee assistance program, work/life support, specialty programs for autism and depression and insightful analytics to improve the delivery of care. Community Access Unlimited is committed to providing community access through a broad array of person-centered support services for adults and adolescents with intellectual and developmental disabilities, at-risk youth. and people with affordable housing needs giving them the opportunity to live independently and to lead normal and productive lives as citizens integrated into the community. Gallagher helps solve challenges of operating sustainable healthcare organizations while meeting the needs of employees and communities. With over 15 years of experience, Genoa Healthcare serves more than 650,000 individuals annually across the United States. Everything we do is informed by our CARE values: Caring, Accountable, Results-Oriented and Ethical. Health Management Associates (HMA) is a leading independent national research and consulting firm in the healthcare industry. Founded in 1985, today we are more than 200 consultants strong and still growing. We help clients stay ahead of the curve in publicly funded healthcare by providing technical assistance, resources, decision support and expertise. Horizon NJ Health is the leading Medicaid and NJ FamilyCare plan in the State and the only plan backed by Horizon Blue Cross Blue Shield of New Jersey. HNJH has one of the largest networks of doctors, specialists and hospitals available in New Jersey. Optum is made up of three market-leading business segments – OptumHealth, OptumInsight and OptumRx – which together form a leading information and technology-enabled health services business. PerformCare New Jersey utilizes significant expertise and integrated technologies to register, authorize, and coordinate behavioral health care for children, youth, and young adults who are experiencing emotional and behavioral challenges. TRUETOX™ medication monitoring and drug detection services ensure that health care professionals have a choice between ordering tests individually or use a custom panel of tests selected by the Practitioner. They choose the test methods suited for their individual needs, immunoassay and/or drug specific triple quadrupole LC-MS/MS. Results are reported to the Practitioner within 48 hours of the urines receipt into our lab. WellCare focuses exclusively on providing managed care services through government-sponsored programs, such as Medicaid and Medicare.